Royal Caribbean will shortly be announcing a Celebrity Chef to head up a new venture on board Anthem of the Seas when she sails from Southampton next year. 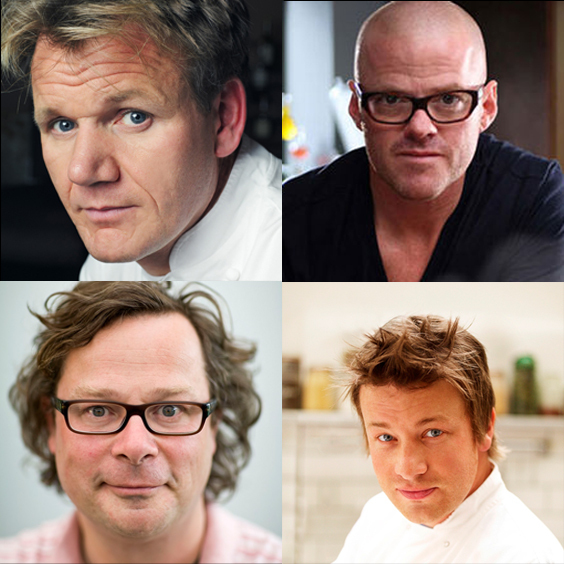 In information just released that chef will be one of the four below. While all of these chefs have so much to offer I firmly believe that in order to keep up with their innovative way of thinking the chef would need to be Heston Blumenthal so here I am putting my cards on the table. Watch this space….. and I will let you know as soon as the information has been released!! !